Peter van Dommelen is Joukowsky Family Professor in Archaeology and Professor of Anthropology at Brown University. His research focuses on the western Mediterranean and the Phoenician-Punic world, with a particular interest in colonialism and culture contact as well as rural life and landscape, both past and present. He is actively involved in fieldwork and ceramic studies in Sardinia and Mediterranean Spain and his most recent books are, with Carlos Gómez Bellard, Rural Landscapes of the Punic World, Monographs in Mediterranean Archaeology 11 (London: Equinox, 2008) and, co-edited with A. Bernard Knapp, Material Connections in the Ancient Mediterranean (London: Routledge, 2010). Carlos Gómez Bellard is Professor of Mediterranean Archaeology at the University of Valencia (Spain). He has long been interested in the organization of agricultural production and rural settlement in Phoenician and Punic Ibiza. He has excavated and surveyed extensively in Ibiza and Mediterranean Spain. Phoenician and Punic archaeology have long been overlooked by Mediterranean archaeologists, whose attention has mostly been focused on Greek and Roman cultures. Moreover, obscured by a strong urban bias, the rural landscapes of the Punic world have only begun to be investigated over the last two decades. This book offers the first comprehensive overview of rural settlement in the Punic world by bringing together and comparing evidence from across the western Mediterranean. A substantial part of the volume is taken up by a detailed discussion of the literary and archaeological evidence for Punic rural settlement in Sardinia, Sicily, Ibiza, Andalusia and North Africa. It also explores the multiple connections between rural settlement, agrarian organisation and regional colonial situations to offer new insights in Carthaginian colonialism and local Punic rural settlement, and their role in the wider Mediterranean context. By publishing this evidence and new interpretations in English, this book intends to draw attention to Punic archaeology in general and to these rural studies in particular, and to situate them in the wider Mediterranean context of both classical antiquity and Mediterranean archaeology. 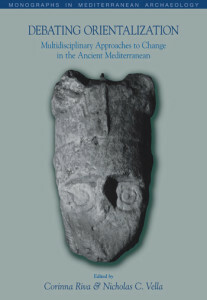 The objectives of the book are highlighted in this chapter as two-fold: creating a comprehensive overview of this developing field by bringing together from across the Punic world the evidence for rural settlement and organisation that has largely been discovered in recent years, and reviewing this evidence critically and to compareing its characteristics across the various regions of the Punic world. Moreover, the chapter provides a definition for the Punic World, its scope and context. The chapter discusses the texts and later writings that created the basis for the modern and ancient perceptions of Carthaginian agriculture and agronomy as prosperous and excellent. Moreover, a connection between these ideas and an ‘imperialist’ interpretation of Carthaginian colonialism is suggested. Thus, the chapter will scrutinise the available evidence in methodological terms and consider how it may be explored alternatively. This chapter describes the island of Ibiza in geographical terms, as well as settlement and archaeology. Moreover, it analyses the rural settlement and land use in Punic Ibiza. This chapter seeks to present and assess a new set of evidence for the later Phoenician-Punic period, i.e. between the 6th and 1st centuries bc, regarding Phoenician settlement. Thus, it provides an overview of the various investigations and research projects that have generated new results along the Andalusian seaboard and go on to discuss the rural evidence itself. Moreover, it explores to what extent these new results shed light on issues of rural settlement, agricultural production and agrarian organisation. The chapter begins with a discussion of the nature of and problems associated with the available archaeological evidence for settlement in the Punic period in the immediate hinterland of Carthage, including the Cape Bon peninsula, and of the Tell, which forms an important component of the later economy of Carthage. The island of Jerba provides the most detailed case study for the latter landscape, which is linked to the patterns that emerge in the Sahel. Finally, the chapter discusses Mauretania, focusing on both the northern and the Moroccan Atlantic coast. Each of these landscapes will be examined in succession, along with the evidence they have yielded about rural settlement and agrarian exploitation. This chapter introduces Sicily and Malta, as well as the minor islands of Pantelleria and Gozo, their geographical location and their archeological evidence. The chapter discusses the developments of Sardinian archeology, phases of urban settlements and rural sites investigations. Moreover it provides an evaluation of the evidence that highlights the most salient features of Punic rural studies in Sardinia. This chapter provides a comparative discussion of Punic rural settlement in its wider western Mediterranean context. It discusses similarities and differences in the archaeological evidence and settlement patterns of the Punic regions. Moreover, it considers the agrarian background of rural settlement in order to gain an insight into the agrarian and regional organisation of the rural landscapes. The involvement of Carthaginian colonial expansion in these processes is further analyzed, as well as the social realities of peasant life and agrarian production in the Punic world. The chapter discusses and highlights some of the arguments from the previous chapters regarding the Punic rural world. Moreover, it emphasizes the multiple connections among and variations between the Punic landscapes of the western Mediterranean. 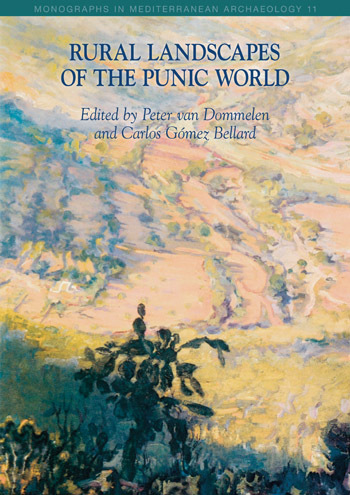 This volume contributes not only to our understanding of the Punic world it but also enriches the facts concerning the Western Mediterranean, without taking into account the fact that the method represents a potential model for other regions, Phoenicia, for example. Its principle advantage is an original approach from all types of sources. Because it isn’t simple a compilation of prior research, existing sources and a summary of searches or surveys, the collective work brings a major and quality contribution to our best understanding of ancient rural life, Punic in particular. If we assess the information contained in this volume, our opinions must be highly positive, as the relevant and necessary aims set by the editors have been broadly achieved. Readers will find new, interesting and well documented information within a coherent structure. It is, without doubt, an obligatory reference book for anyone who wants to approach the Punic strategy for agricultural production from an international perspective. This is a book that scholars and students alike have been eagerly awaiting. P. van Dommelen and C. Gómez Bellard should be congratulated on putting together a work of scholarship that will outlive its time. This is an excellent book, which deserves to be read not only by those with an interest in survey and rural archaeology, but also by anyone with an interest in the western Mediterranean between the 6th and 1st centuries BC, whether historian or archaeologist. 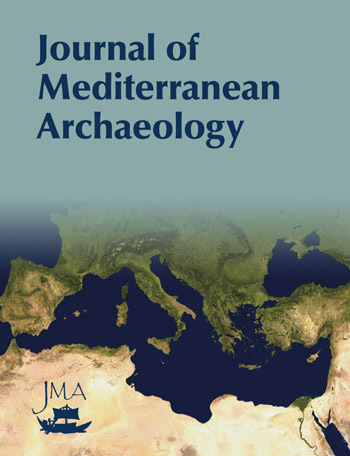 Van Dommelen and Gómez Bellard, together with their collaborators, have synthesized a vast range of archaeological fieldwork undertaken across much of the western Mediterranean in the last century; furthermore, in doing so they have developed a sophisticated (and potentially provocative) set of arguments regarding the label ‘Punic’ and some key aspects of Carthaginian hegemony in the western Mediterranean; and they have managed that semi-mythical feat of producing an edited volume that is truly coherent and consistently easy to read.